Oil giant Shell said yesterday that its latest North Sea project would create hundreds of UK jobs and unlock 80million barrels of oil. Steve Phimister, Shell’s vice president for upstream, UK and Ireland, said the construction phase would create work for 300 to 400 people in the UK. The majority of those jobs will be in the north-east of Scotland, according to Shell, which took a final investment decision on the Penguins field redevelopment yesterday. Industry leaders, regulators and governments hailed Shell’s decision, saying it demonstrated confidence the North Sea’s remaining potential. Between 50 and 70 people will work on board the new vessel once it is up and running. US firm Fluor was awarded the construction contract for the floating production, storage and offloading (FPSO) vessel, which is likely to be built at a yard in the Far East. 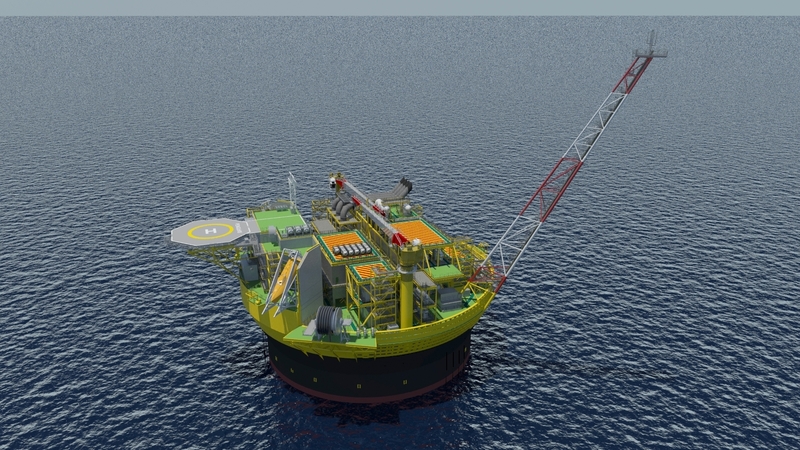 Sevan Marine will provide the technology for the circular FPSO and technical support during the design phase. UK and Scottish jobs will be created in areas such as project delivery and subsea activity. Mr Phimister did not give an exact date for project start-up, but said the FPSO should be delivered in the “early 2020s”. The Penguins cluster was first developed in 2002 and produces via a subsea tieback to the Brent Charlie platform. The aging Charlie platform is expected to retire in a few years, which means Shell needs another way of producing from Penguins, 150miles north-east of Shetland. Eight new wells will be drilled and tied back to the new FPSO. Mr Phimister said the redevelopment would give Shell and 50/50 project partner ExxonMobil access to 80million barrels of oil which would have been left stranded once Charlie shuts down. He said: “The Penguins field redevelopment is a very significant project for Shell and has been a long time coming. “If you were to go back a few years, this sort of development would have been hard to justify, but we’ve driven costs down with the supply chain. He said Shell intended to increase production through its core, North Sea assets following a reshaping of the company’s portfolio. Last year, Shell completed the sale of a package of North Sea assets to newcomer Chrysaor for up to £3billion.